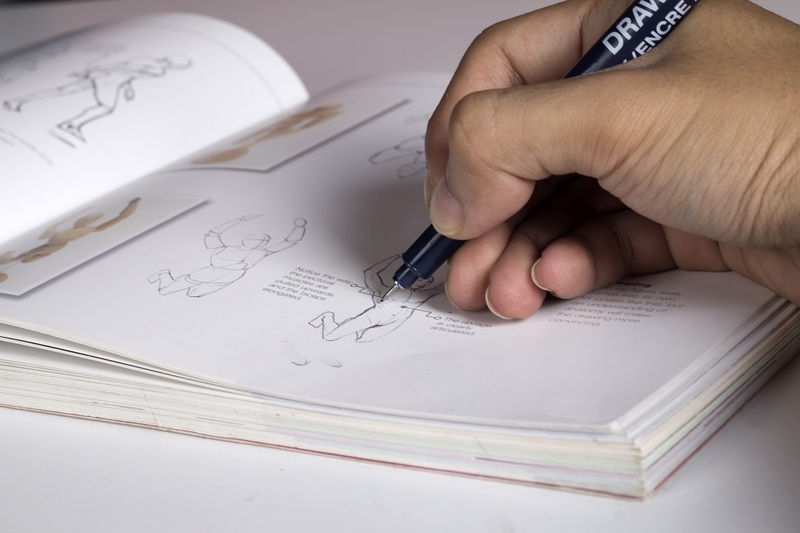 A follow-on course for those who have attended Children's Book Illustration Character Development or those who have a picture story (original or borrowed) to work with. Learn the process of illustrating, and developing a picture book. Explore ways in which relationships of image and text can enhance the story, and discover sequencing techniques to improve the pace, rhythm and flow of your book. learn sequencing techniques, to improve your story's pace, rhythm and flow. Following on you will, design, illustrate and then make a mock-up picture book of your story. Learn the principles of page design, the balance of image and text and guiding the eye across the page. Continue with character development and drawing techniques that will have your characters running and leaping from the page! On completion of the course you will have completed a storyboard of thumbnails and a dummy mock-up book. Bring your lunch each day. We'll provide tea and coffee in the staff room. Bring your character drawings from Character Development. All available from art supplies stores. Selwyn Community Education students are offered a 10% discount at Gordon Harris, Newmarket (phone 09 520 4466). Students who attended Children's Book Illustration Character Development. If you haven't attended Character Development, Sandra will welcome you to the course if you have prepared drawings to work with. Each course builds upon the one before. You will have attended Children's Book Illustration: Character Development or have a picture story book (original or borrowed) to work with. Please contact the office if you need further advice about this.